Rainwater is a precious resource. Rainwater is free, simple to collect and can be utilized in a number of areas around your home, farm or ranch. From irrigation systems, laundry and bathroom use, to drinking water; rainwater that is correctly harvested, stored and distributed can be a valuable asset to your lifestyle. Aquamate is a leading supplier of rainwater storage tanks, working with rainwater harvesting professionals to supply durable, reliable and affordable solutions. With over 130 million acres of farm and ranch land in Texas alone, well water is an important consideration for those lacking a constant supply of fresh water. 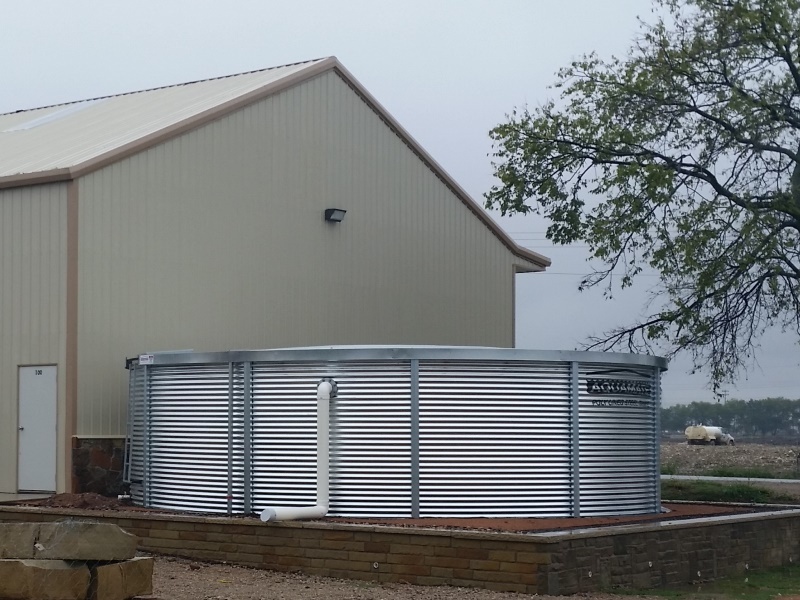 Aquamate galvanized water tanks are a durable water storage addition to your well water system, built to withstand the test of time. Whether it’s cattle or broilers, cotton or corn, Aquamate has the right size tank to facilitate the fresh water you extract, ready for use however you need it. In rural areas, especially those susceptible to wildfires, it’s essential to protect everything that’s important – your family, your home and your stock. Part of being prepared means having a plan in the event of danger, taking steps to organize and maintain your property and having sufficient water storage on site. 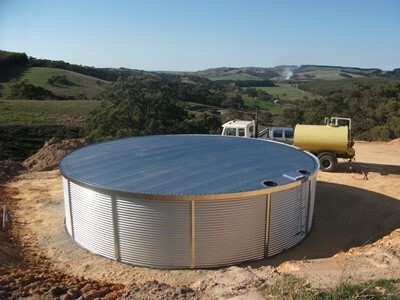 Aquamate’s range of galvanised steel water storage tanks are ideally suited to providing protection for homes and barns in wildfire prone areas. 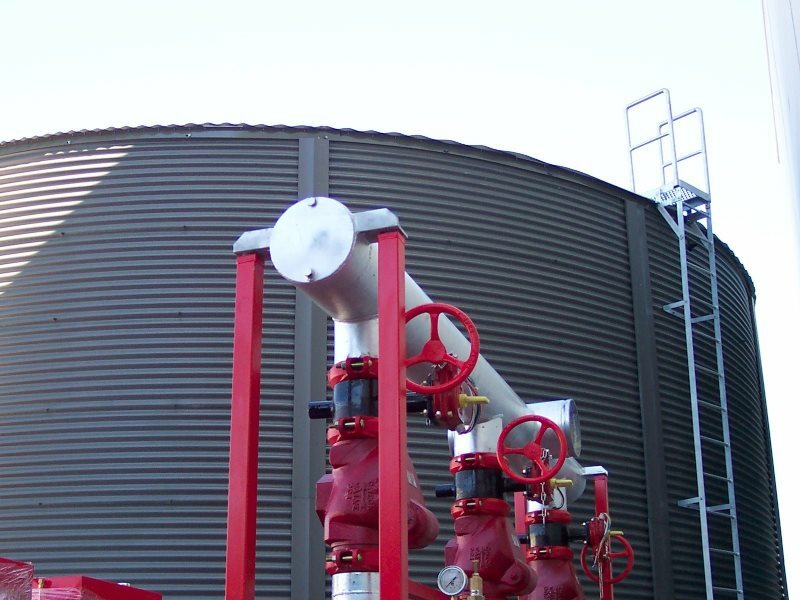 Aquamate engineered steel tanks are available in a range of sizes and configurations, up to 43′ diameter & 200,000 gallons to suit commercial and industrial water tank installations. 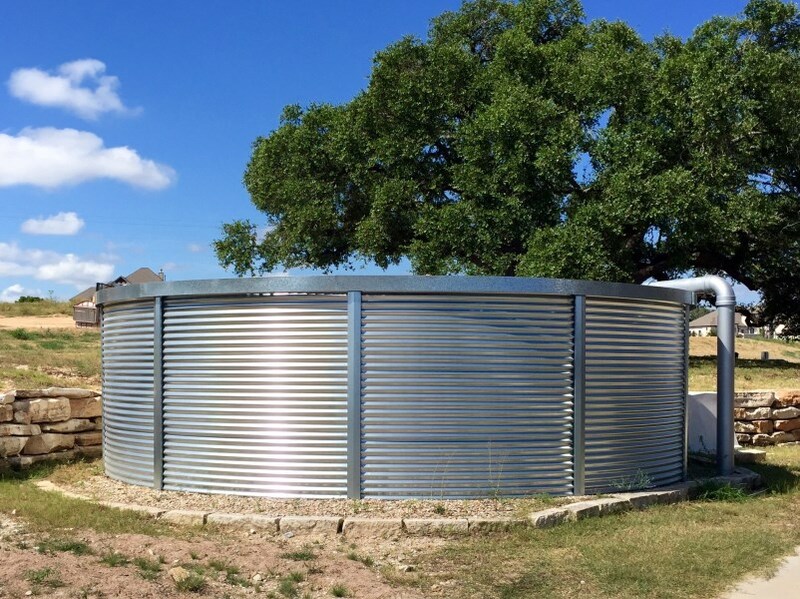 Consisting of bolted steel panels, a waterproof steel cover and poly liner, Aquamate modular water storage tanks are ideal for use in automatic sprinkler systems and fire hydrant systems. All tanks are designed to be built safely and quickly on site by a small team of trained technicians.